Getting ready to enroll in a Medicare Advantage or Medicare Part D plan for 2019? 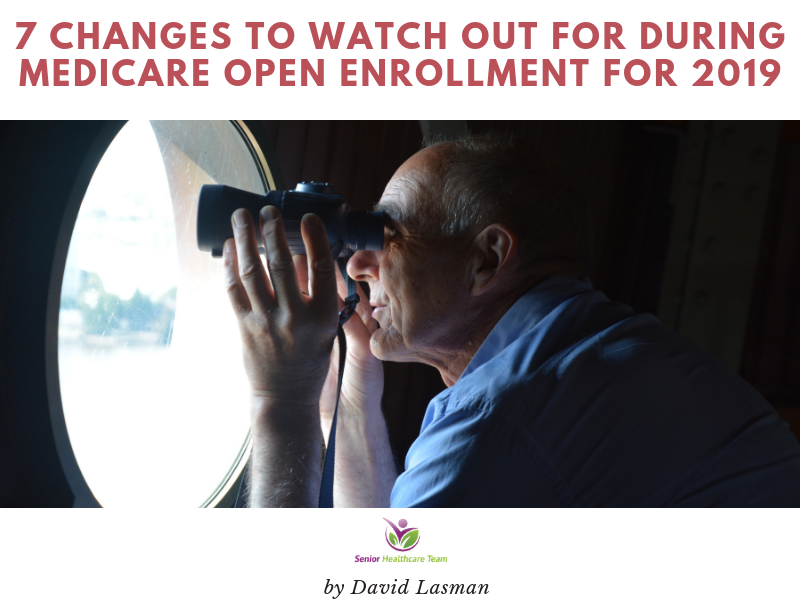 You may have more plans to choose from, the premiums may be lower, and some Medicare Advantage plans are adding benefits. That’s why this open enrollment period is a particularly good time to shop for coverage even if you’ve been happy with your current plan. Open enrollment for Part D and Medicare Advantage runs from October 15 to December 7 for coverage starting January 1, 2019. Here are eight changes to be on the watch for this enrollment season. The average premium for Part D plans is decreasing by $1 per month in 2019, to $32.50, according to the Centers for Medicare and Medicaid Services. But don’t just look at premiums alone. Some plans with low premiums might have higher co-pays for your drugs or require you to pay a lot more unless you use certain preferred pharmacies. It’s important to compare each plan’s total costs. Part D plans with preferred pharmacies tend to have low premiums and low co-payments if you use certain pharmacy chains, but charge a lot more if you get your drugs anywhere else. The Humana Walmart plan, one of the first to adopt a preferred pharmacy, charges premiums as low as $22.20 per month in some areas and low co-pays at Walmart, Sam’s Club and through Humana’s mail-order pharmacy. Humana also offers other Part D plans without the preferred pharmacy. If you like to use a certain pharmacy, see if it’s a preferred pharmacy under any plans. Walgreens, for example, is a preferred pharmacy in the AARP UnitedHealthcare plan, Cigna plans and many BlueCross BlueShield plans. The doughnut hole—the coverage gap in which you must pay more out-of-pocket for your drugs—will close in 2019, a year earlier than originally scheduled. Even so, you’ll need to pay a portion of your drug costs. After the total cost of your drugs reaches $3,820, you’ll pay up to 25% of the cost of brand-name drugs (37% of the cost of generics) until you spend $5,100. Then you’ll pay 5% of the drug costs after that. Be aware, lower-premium policies may have smaller provider networks, so make sure the doctors and hospitals you want to use are covered. In some cases, you may have several plan options with the same network but different premiums and cost sharing. “If you have a higher premium, you may have lower co-pays, or if you’re in good health, you may want to elect a plan with lower premiums and higher co-pays,” says Agnes Strandberg, a senior vice president with Kaiser Permanente Medicare, which usually offers at least two versions of its plans in most states. Some Medicare Advantage plans charge higher co-payments if you use out-of-network providers, and a growing number of others won’t cover care outside the network except for emergencies (often some of the lowest-cost plans). Yet some plans are providing more options that may cost more but expand the network coverage. Aetna, for example, is expanding its Explorer PPO plan, which will be offered in 28 states in 2019 and will give people nationwide coverage while traveling. Medicare Advantage plans often offer additional benefits that aren’t available through traditional Medicare, such as vision and dental care and fitness club memberships. And new regulations let them expand their benefits starting in 2019 (expect to see even more new benefits in 2020). UnitedHealthcare will offer over-the-counter drug benefits in some plans, providing a preloaded plan debit card that you can use at Walgreens, as well as virtual visits with providers and transportation to and from doctor’s appointments under some plans. Some Aetna plans provide transportation benefits and meals after a hospital discharge. And some plans may start to offer new benefits such as adult day programs and in-home assistance, although more of these benefits are likely to begin in 2020 after insurers have more time to implement the new regulations. In the past, if you were unhappy with your Medicare Advantage plan, you had from January 1 through February 14 to drop out of it and switch to traditional Medicare and a Part D plan. But you couldn’t change from one Medicare Advantage plan to another (unless you qualified for a special enrollment period, such as if you moved out of your plan’s service area). But now you will have from January 1 to March 31 to switch to a different Medicare Advantage plan if the one you chose doesn’t end up being a good fit. Selecting the right healthcare plan through Medicare can be overwhelming and downright stressful. Senior Healthcare Team is a nationwide resource that provides guidance and support about Medicare to seniors at no cost to them and helps them to choose the most suitable insurance plan tailored to their specific needs and budget.Our goal is to educate and empower our clients to make the best decisions regarding their healthcare and clear up the confusion of Medicare.At Senior Healthcare Team, we aren’t partial to any one insurance company.Our loyalty is to our clients and our mission is to provide them with the best healthcare options at the very lowest cost.